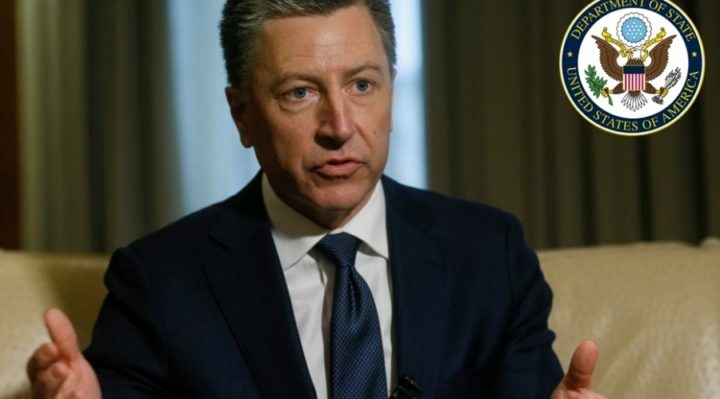 “Again, stressing that Ukraine is a democracy, we will work with whatever democratically-elected leader emerges after the election,” Volker said. 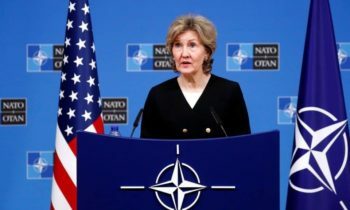 “I hope that no matter who is elected as president of Ukraine and also no matter how the parliamentary elections come out later in the year that Russia decides finally that it’s trying to end the war and bring about peace,” the U.S. Special Representative said, noting that Washington is “committed to doing everything that we can to facilitate it as well,” adding that he means further talks and development of any peacekeeping and security forces that would be needed to keep civilians safe. Ambassador Kurt Volker told reporters that he had met with EU diplomats and that new measures against Moscow were under discussion if the sailors were not released. “We had discussions with European colleagues in the past few days . . . The EU is looking at additional sanctions as well. Nothing has been agreed yet,” he said. Below is a full rush transcript of the press conference by Kurt Volker, U.S. Special Representative for Ukraine Negotiations. Ambassador Volker: It is the 31st of January, meaning that tomorrow will be February and we are entering a month where we are really looking at five years now from Russia’s takeover of Crimea and its claimed annexation of Crimea later after that in March. So this conflict which started there has been going on a long time. Question: You referred to the presidential election but your own intelligence said the other day they are not sure that President Poroshenko will be able to win. So first of all, do you share that assessment? And second of all, how important is this for you? Are you confident you can work with whoever comes next and who will still be in control? Thank you, sir. Ambassador Volker: The starting point here is that Ukraine is a democracy and they will be having an election and in a normally functioning democracy we don’t know who is going to win until the election takes place. So in this case we really don’t know who the winner will be. Question: Earlier this month the Russian Foreign Ministry said it had agreed to a Franco-German plan to allow observers to go to the Kerch Strait and to monitor what is happening there. Can you first tell us, do you support that initiative? Secondly, who do you blame for the fact that there have been none of those observers deployed so far? Ambassador Volker: It’s a very important dimension to what’s been going on lately. 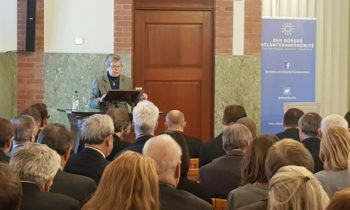 The Russians made a unilateral assertion of control of the Kerch Strait and through that effectively controlling access to the Sea of Azov, and that is a violation of their bilateral agreement with Ukraine from 2003 on joint sovereignty over the Sea of Azov and the Kerch Strait, and there are disputes. 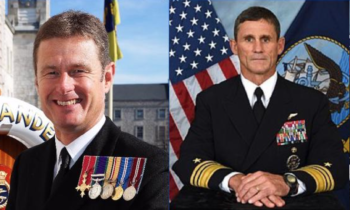 We know from imagery, we know from video on YouTube, we know from what the Ukrainians have reported what happened in terms of the blockage of the strait, the pursuit of the Ukrainian vessels in international waters, firing upon them, and those sailors still being held by Russia. Question: Martin Sajdik of OSCE he made his proposal of this UN OSCE mission like with military and police component of the United Nations. So what is the U.S., what does the U.S. think about this proposal? And what should, I mean how should it be done so that it can help in any way? 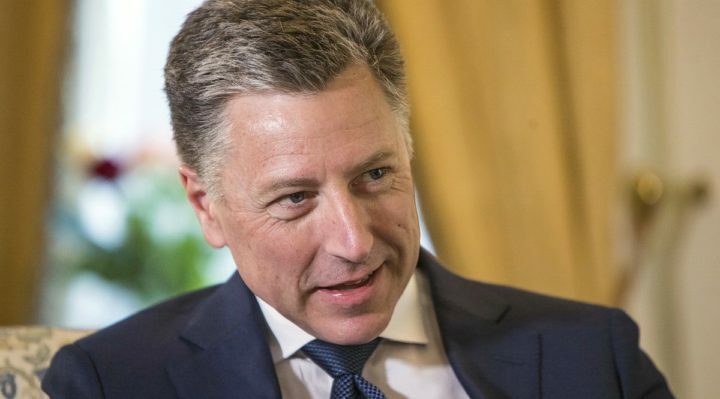 Ambassador Volker: The fundamental issue here is whether Russia is willing to accept an international peacekeeping presence to replace the Russian forces and create genuine peace and security in the Donbas. If Russia is willing to do that, that would happen under a UN mandate and the UN would be able to establish a general environment of security which would allow for the implementation of the Minsk agreements and bring the conflict to an end. Question: Ukrainian sailors who have been attacked in the neutral waters and arrested by Russia. The fact that there were no significant sanctions for Russia for this act of aggression, does it mean that Russia can act with impunity? Question: I was just wondering if you have any meetings with Mr. Surkov planned in the foreseeable future. Question: Is there an estimate as to how many Russian troops and how many as you called it created by the Russian troops is in Ukraine at this point in time? An estimate. Ambassador Volker: First of all, you’re absolutely right. While Russia has not blocked completely the access of Ukrainian vessels or other commercial vessels to Ukrainian ports, they appear to be implementing a policy of a deliberate slow-down, and slowing down the passage means adding cost to the commercial shippers, adding cost to the Ukrainian ports, which is disruptive to the economy in the region. Question: Aside from the Kerch Strait have there been any recent significant or observable ships and levels of Russian equipment or troops along the line of contact or the Ukraine-Russia border? Perhaps not, but if so, what conclusions do you draw from that? Secondly, Ukraine’s Defense Minister, Stepan Poltorak, has recently doubled down again on Kyiv’s goal to accelerate its efforts to join NATO by attaining allied standards and getting the MAP, the Membership Action Plan, by 2024. Could you please reiterate what the U.S. position is on that and the prospect? Thank you. Ambassador Volker: First off, I think it’s always a little bit misleading to ask — I’m not criticizing your question, but the framing is off when you say have there been recent increases in the, you know, Russian military activity or presence on the borders, the ceasefire line, Crimea or elsewhere, because you don’t need to have recent increases to have an extraordinarily large Russian military presence. They’ve been there already and they are there, and this includes fighter aircraft, it includes attack helicopters in Crimea, it includes ground forces in the occupied parts of Ukraine, it includes naval forces and riparian ships in the Sea of Azov, it includes massive Russian ground forces in Russian territory surrounding Ukraine. So there’s enough military capability there for Russia to do whatever it decides, so it doesn’t need to have a recent increase for this to be a dangerous situation. Ambassador Kurt Volker is a leading expert in U.S. foreign and national security policy with some 30 years of experience in a variety of government, academic, and private sector capacities. Ambassador Volker serves as Executive Director of The McCain Institute for International Leadership, a part of Arizona State University based in Washington, DC. He is also a non-resident Senior Fellow at the Center for Transatlantic Relations at Johns Hopkins University’s School of Advanced International Studies, a Senior Advisor at the Atlantic Council, and a Trustee of IAU College in Aix-en-Provence, France. He is a consultant to international business, a member of the Board of Directors of CG Funds Trust, and had previously served as Managing Director, International, for BGR Group.